If you’re looking for a pick-up perfect for being on site or simply driving through Addison, IL, look no further. 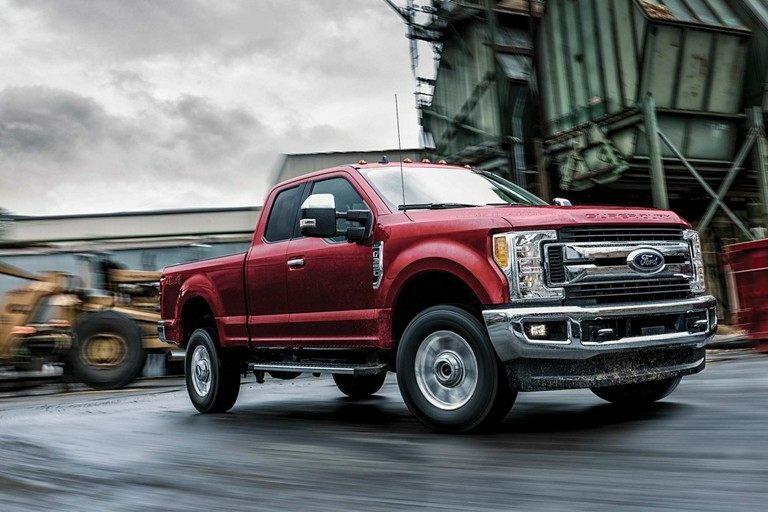 The brand new 2019 Ford F-250 Super Duty is one of the best value all-rounded pick-up trucks to hit the market so far this year. It has been ranked by those over at J.D. Power as the highest when it comes to Large Heavy-Duty Pick-up in initial quality. Prices for the F-250 Super Duty start from $33,150 and finance deals start from around $477/month. The 2019 F250 Super Duty comes in three trims with these being XL, the XLT and the Lariat. The Lariat is at the higher end of the price range with prices starting from $47,310 and the cheapest XLT trim costing you $38,545. Each of these can fit up to 6 passengers inside and feature an STX vender and 18 inch cast aluminum wheels. What’s Under The Hood of the F-250 SD? 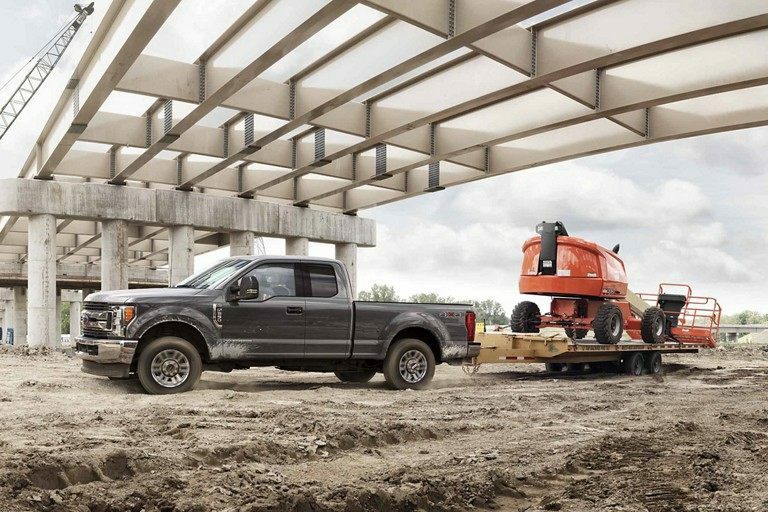 Under the hood of the 2019 Ford F-250 Super Duty you’ll find a powerful 6.2L 2V Flex Fuel Engine with 8 valves. When it comes to the transmission you can choose between a 6 speeds Selectshift or Selectshift-G Torqshift transmission. In regards to the towing and the handling in that respect, there is an integrated trailer brake controller, hitch receiver as well as a transfer case, electronic shift on the fly and four wheel drive system. 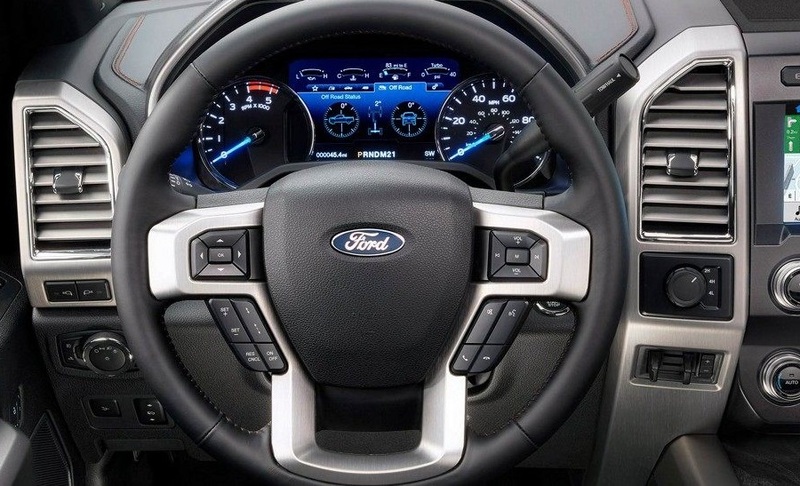 When it comes to the interior features of the 2019 Ford F-250 Super Duty you’ll have the perfect balance of comfort and convenience. Features that come as standard include manual air conditioning with an optional upgrade to a rapid-heat supplemental cab heater. When jumping into it you’ll find a tilt/telescoping black molded polyurethane steering wheel. There is black vinyl flooring and grab handles for both the driver and the front passenger. In addition there is a rear vision camera mounted on the tailgate at the back of the F-250 so you can easily have an eye on rear side of the road in Addison, IL. How Safe Is the Ford F-250 SD? As always safety was the top priority for Ford when they were designing and manufacturing the F-250 Super Duty. Just some of the features that come as standard with all variants and trims include front and side airbags for both the front passenger and driver, these also have a safety canopy system built in with roll-fold side curtain air bags also included. When it comes to the physical security it has features built in such as MyKey and SecuriLock anti-theft ignition with the optional upgrade to remote keyless entry and a perimeter anti-theft alarm. 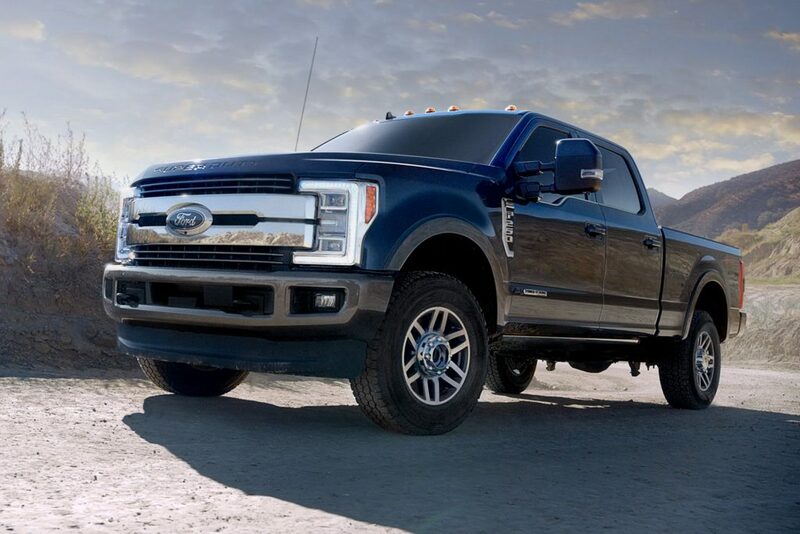 Enjoy a secure and safe drive on the roads of Addison, IL in a new F-250 Super Duty. XL trim prices range from $33,150 – $39,750. Lariat trims range from $45,920 – $51,640. There is also an option to upgrade the existing 6.2L Flex Fuel Engine to a 6.7L V8 Power Stroke Twin Turbo Engine. So you can choose the most appropriate specification for F-250 Super Duty to do your tough jobs in Addison, IL. Why Buy From Roesch Ford Serving Addison, IL? Here at Roesch Ford not only do we have the biggest range of both new and used vehicles but we also make sure that we offer the people of Addison, IL, the best prices on these vehicles. If you’re in the market for a brand new Ford F250 Super Duty there is no need to look any further. We will have all variants stocked with all trims available. Our professional and friendly sales professionals will also talk to you about any optional extras and which trim level might suit your need the best in Addison, IL. Finally once you’ve drove away from our Roesch Ford showroom in your brand new Ford F250 Super Duty we don’t want you think that our care ends there. You’ll be driving away with your new vehicle covered under a range of warranties and if anything unfortunate does happen, just bring it back in to our service center and our expert technicians will have you back on the road in no time.